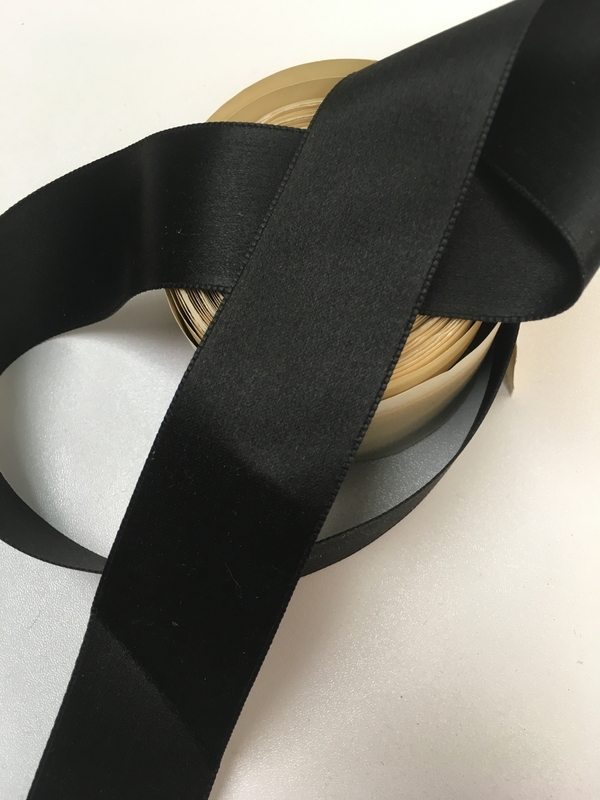 Vintage 30s black silk satin ribbon. 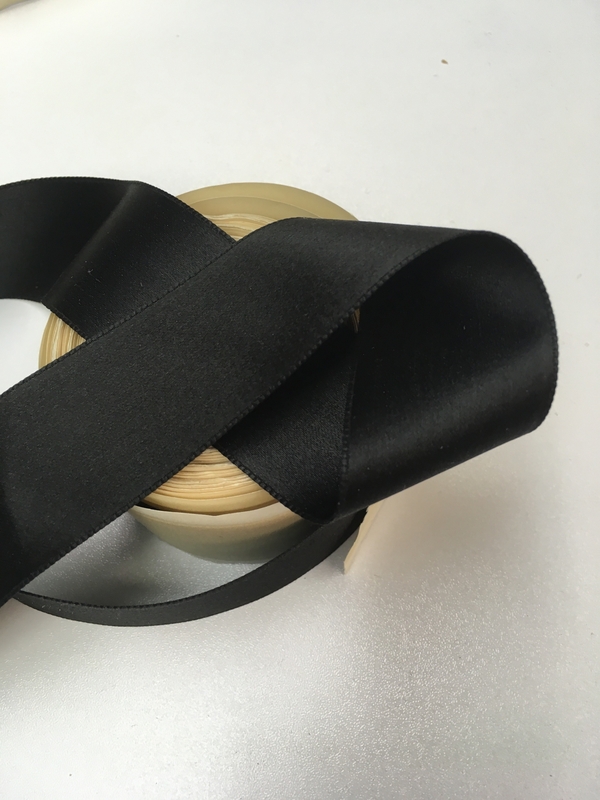 Ribbon content is 51% silk, 49% rayon. 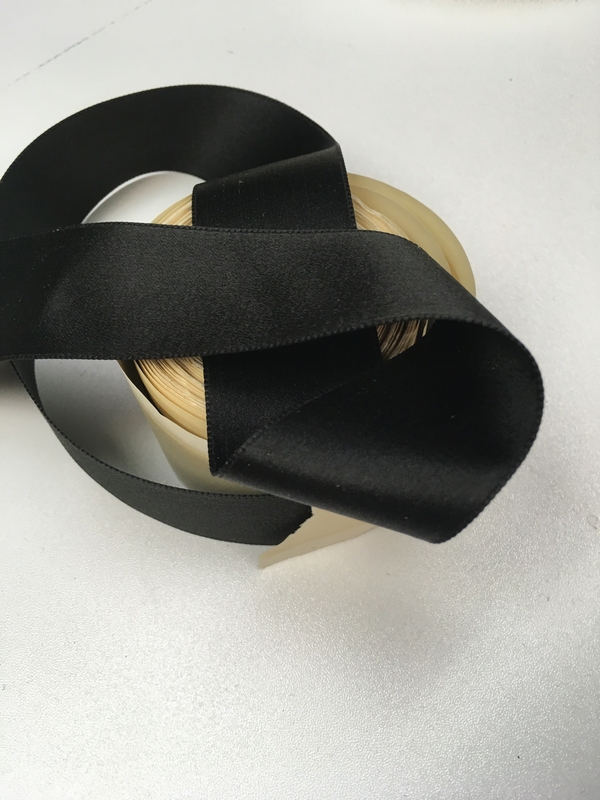 Ribbon is black in color and finished on both sides. Old store stock still on the original bolt. 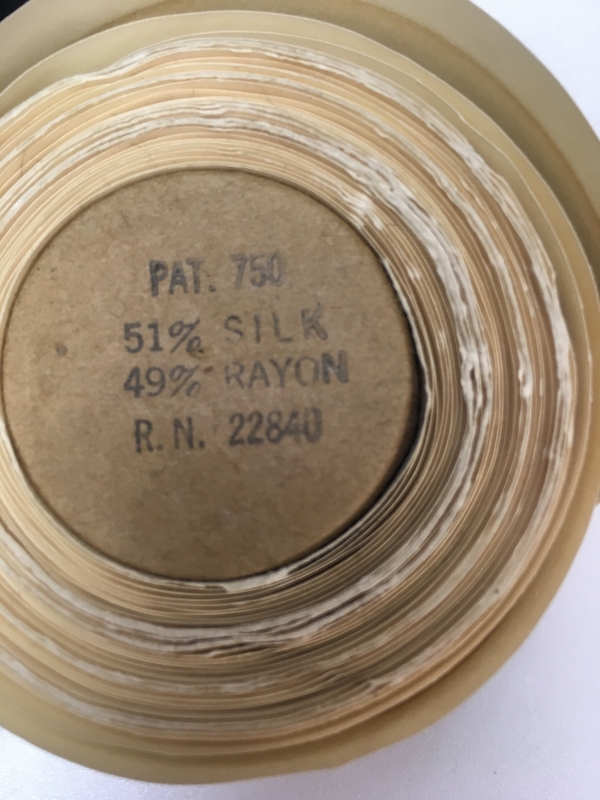 Price is per yard. Width is 1-3/8 inches.